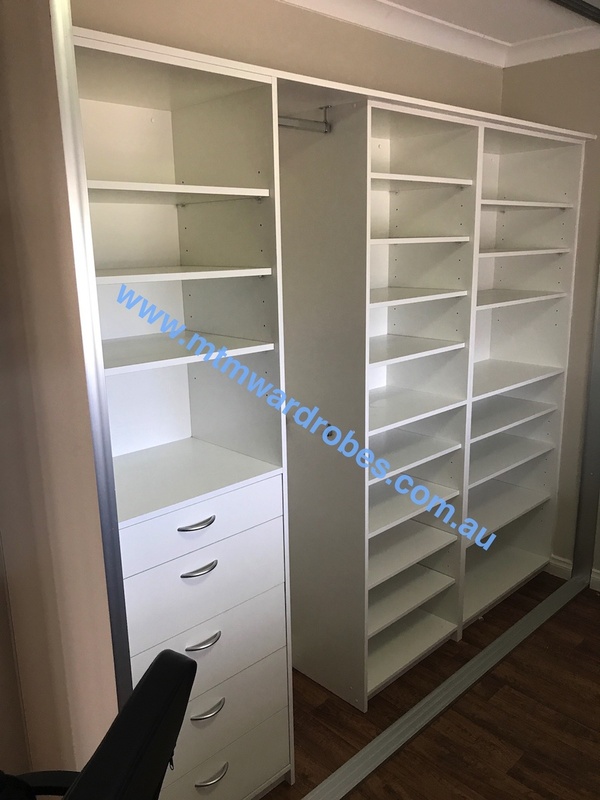 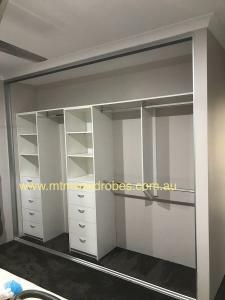 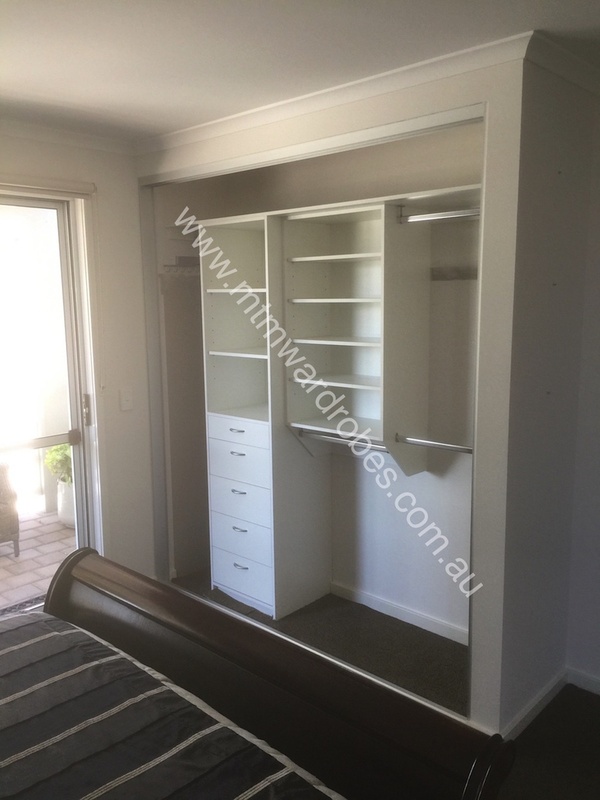 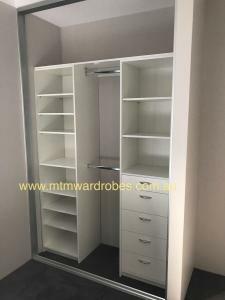 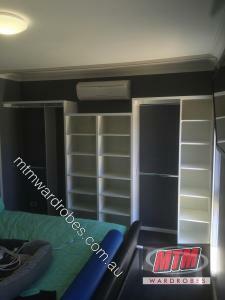 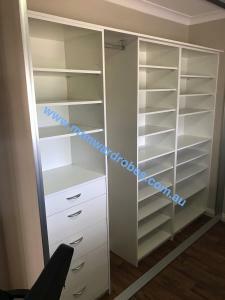 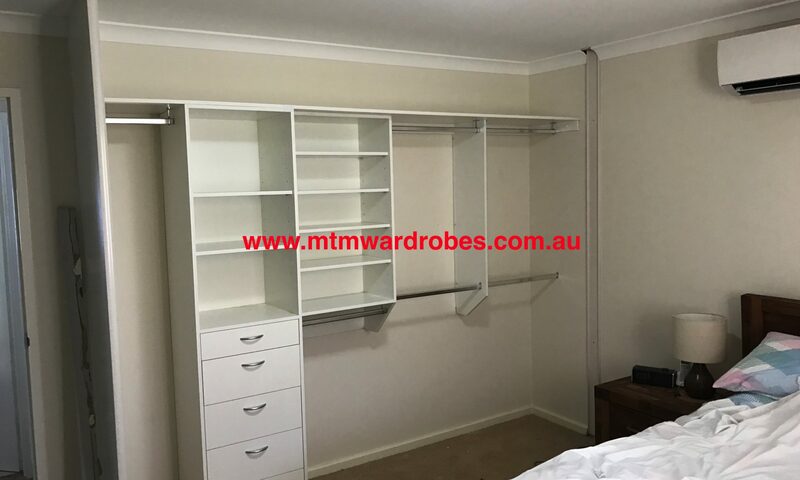 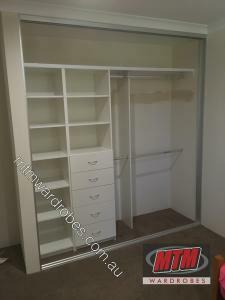 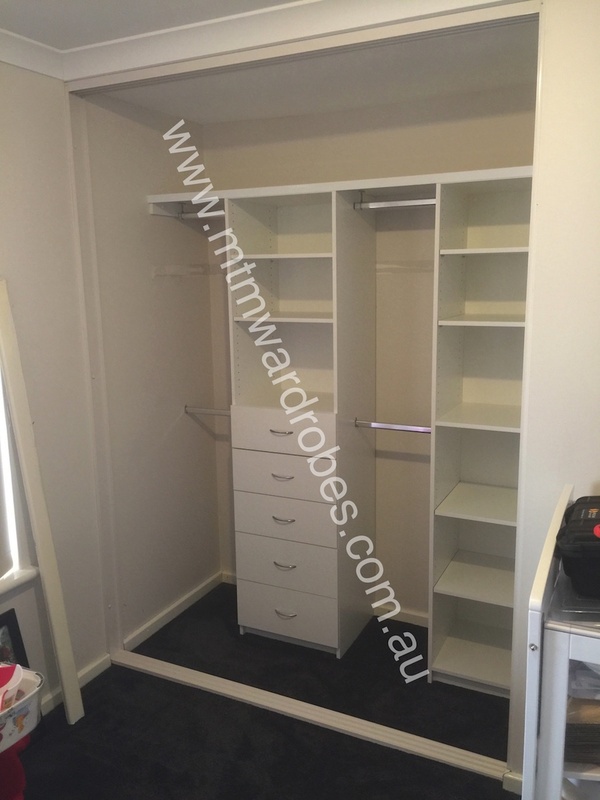 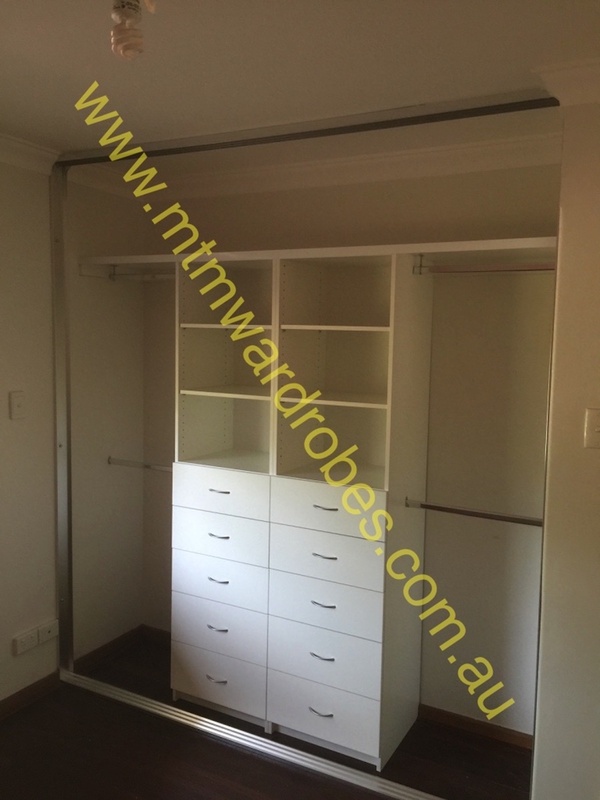 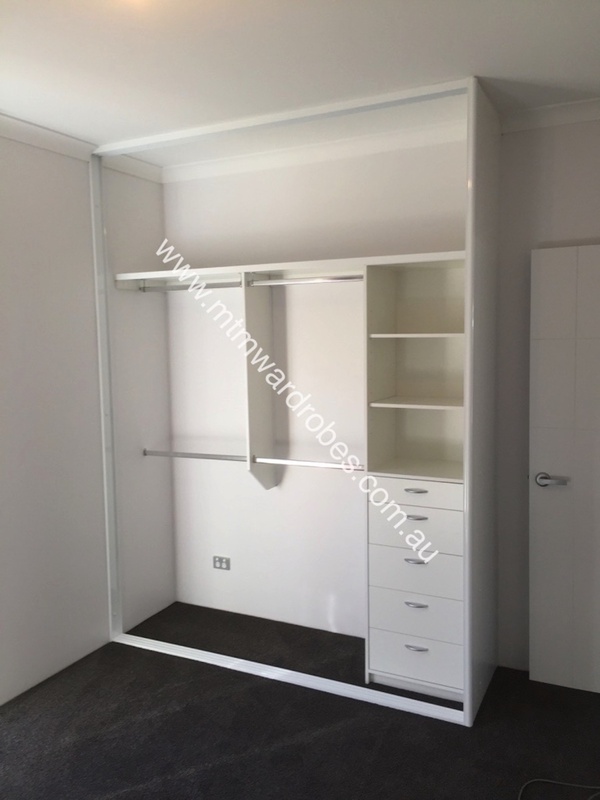 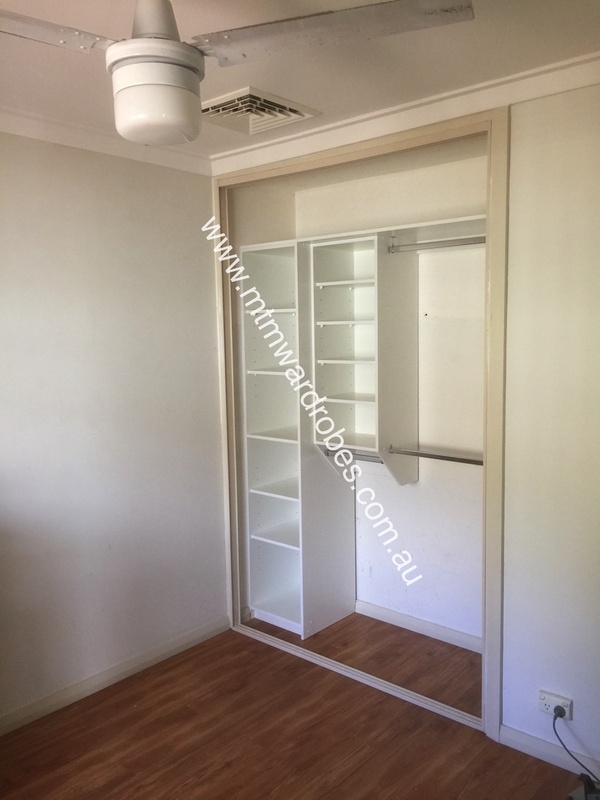 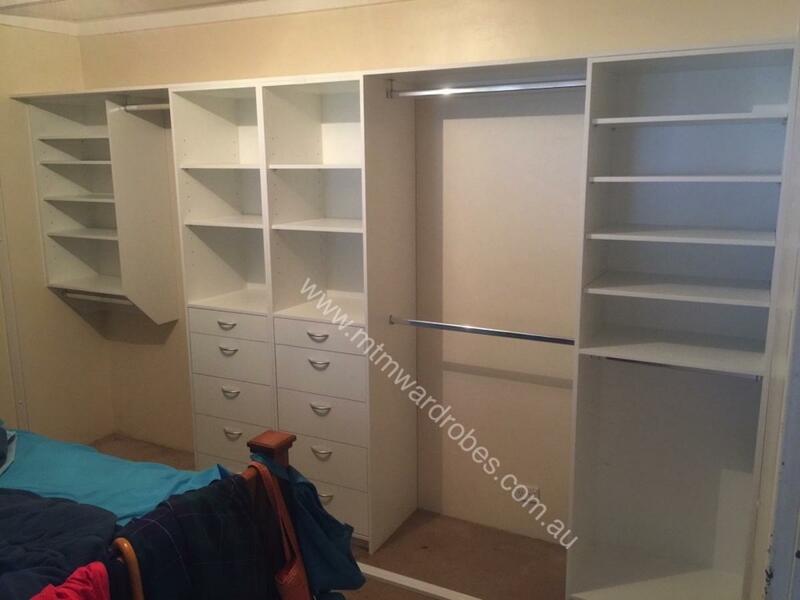 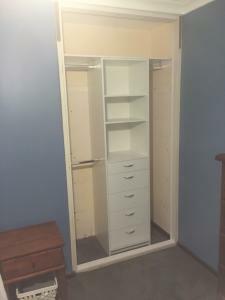 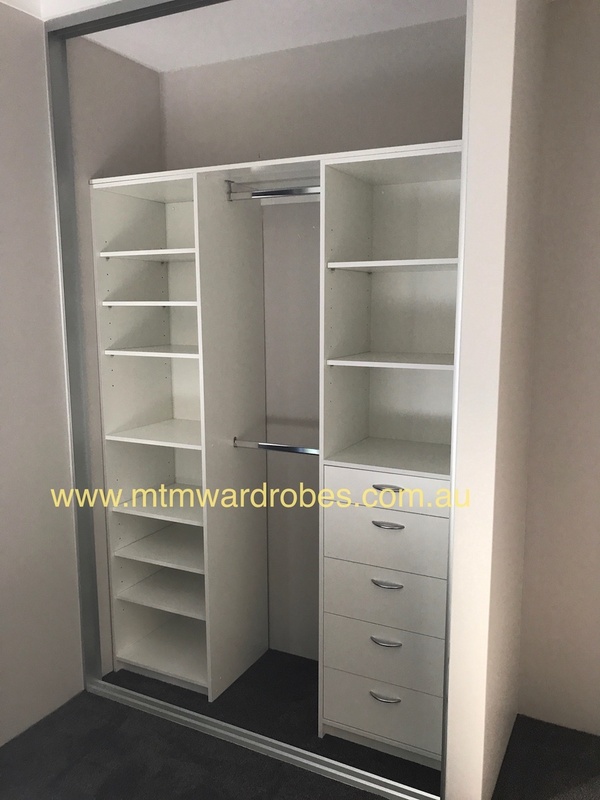 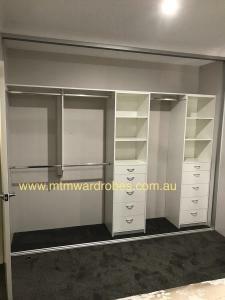 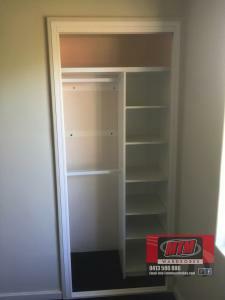 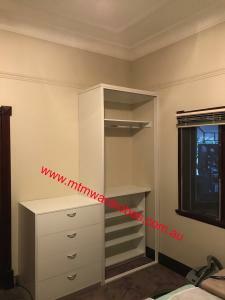 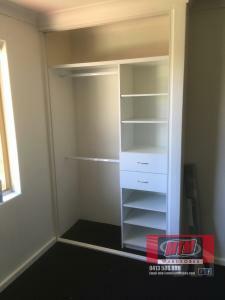 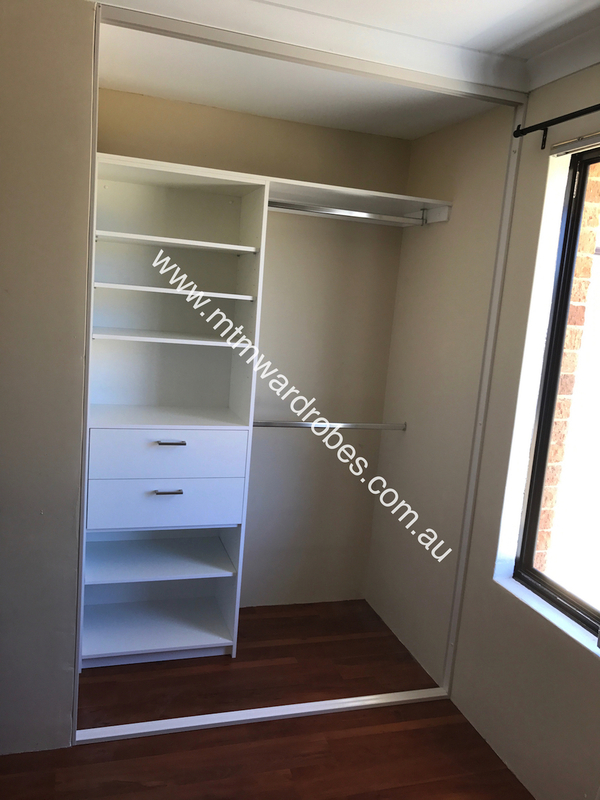 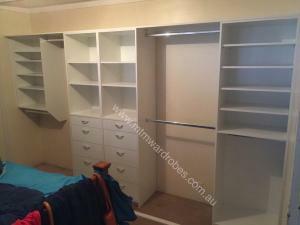 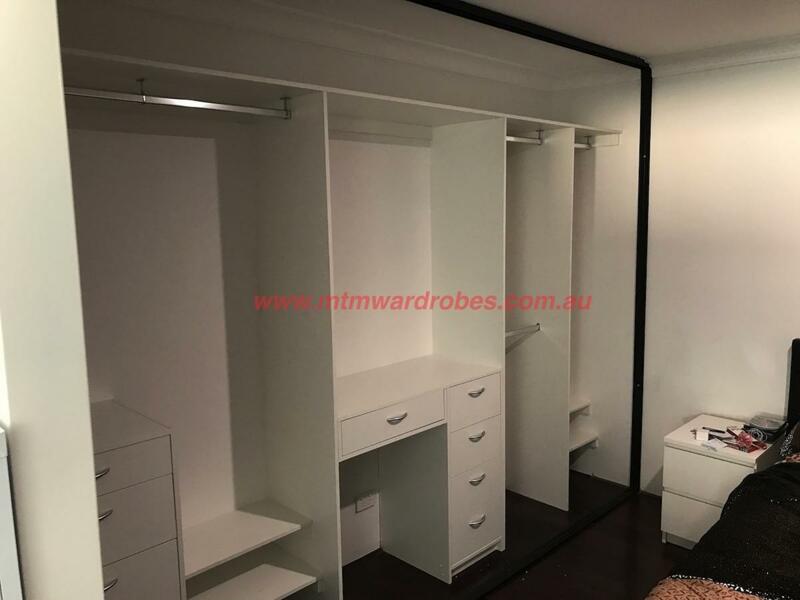 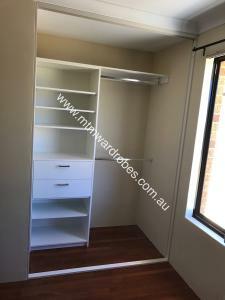 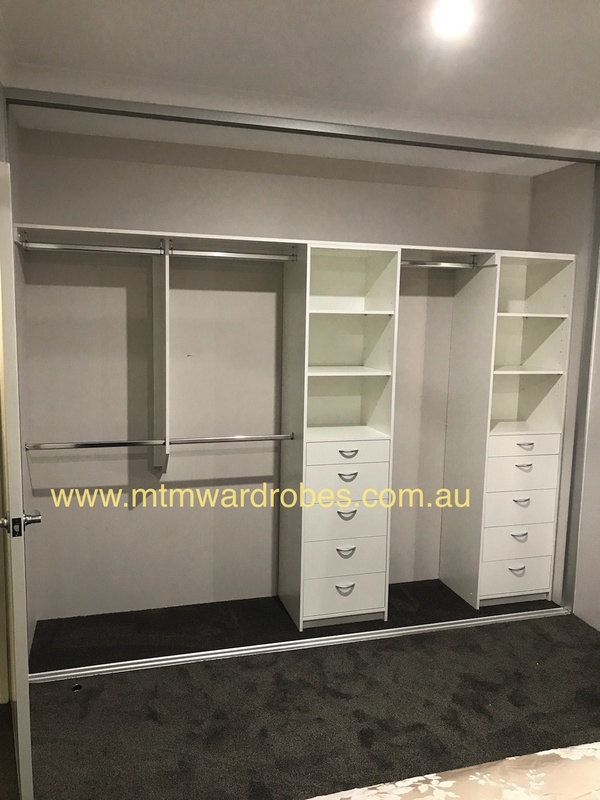 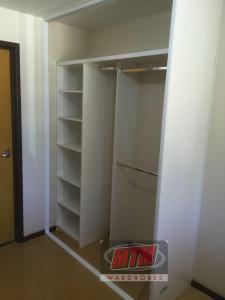 Photo Gallerys Wardrobe storage and Door options. 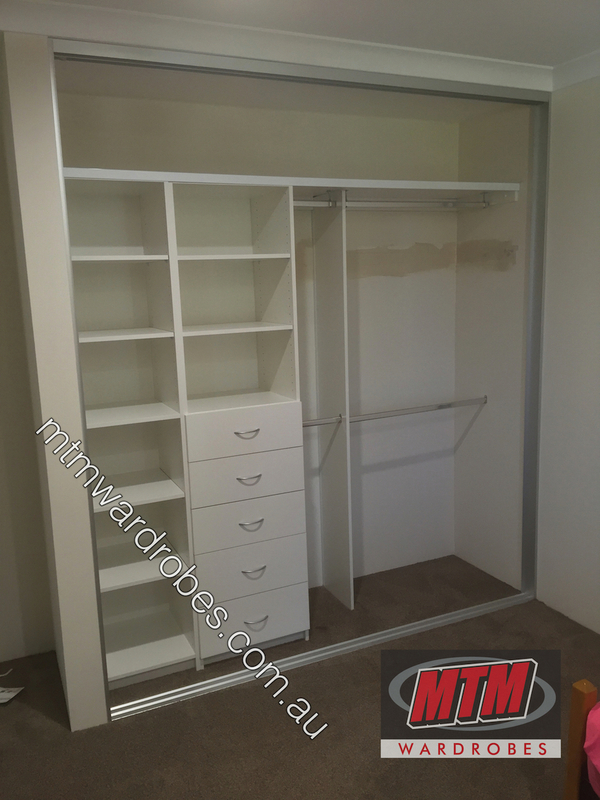 Maximising storage to meet your needs. 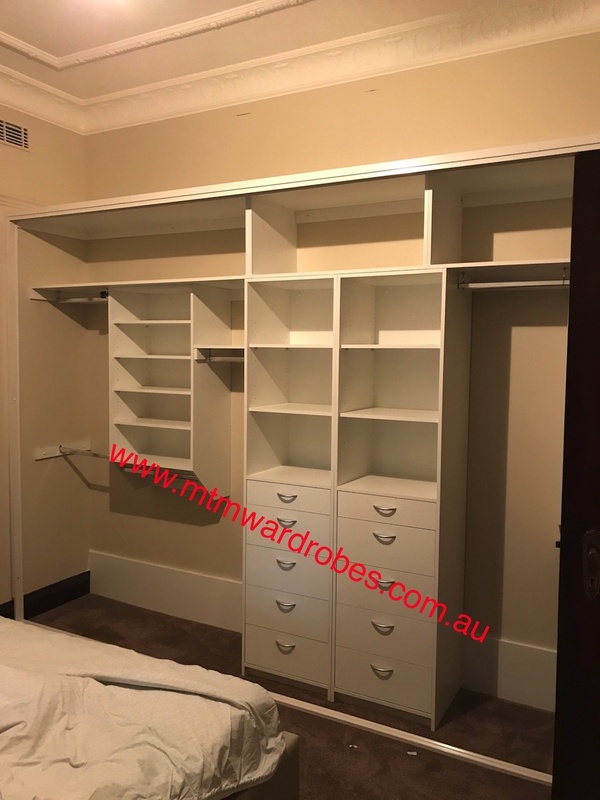 We can help you organise your life with creative and functional Wardrobe storage Solutions that will save you time and frustration. 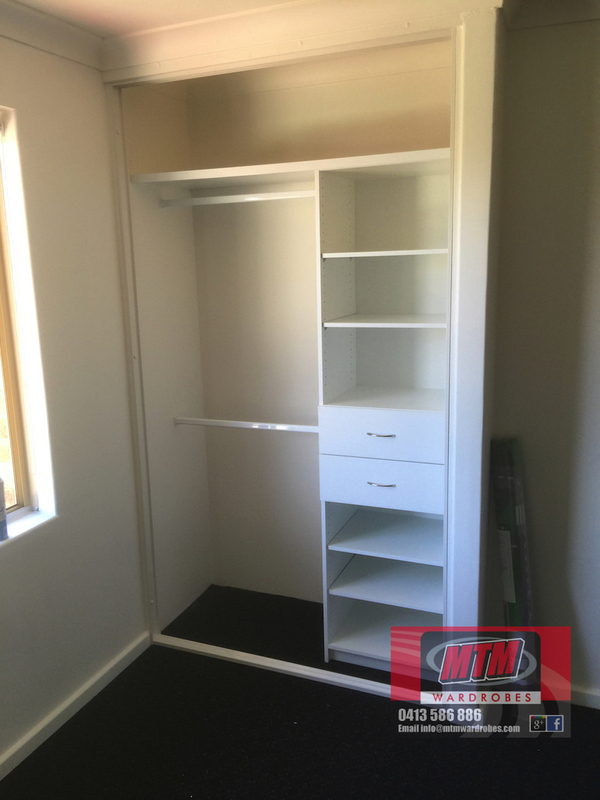 Ask us today to see our ready to install designs, or we can build a custom design, which will maximise your storage. 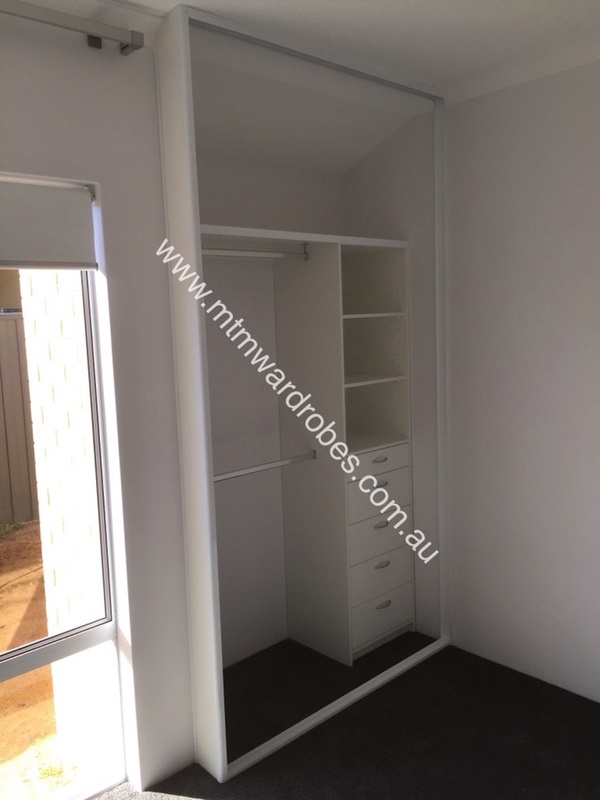 there are a number of units available that can be customised to suit your needs. 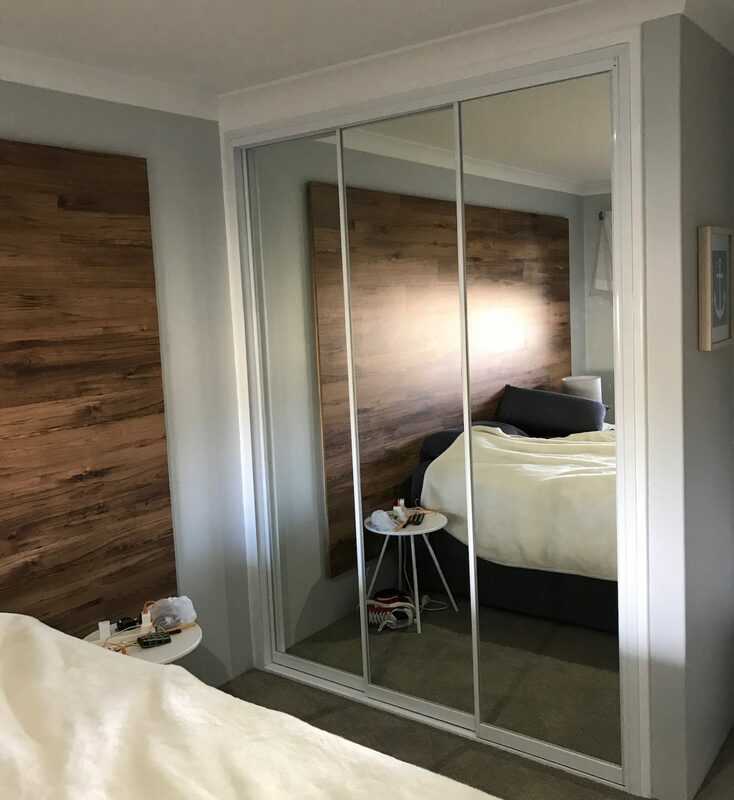 Master BedRoom, Kids Bedroom or Guest Room. 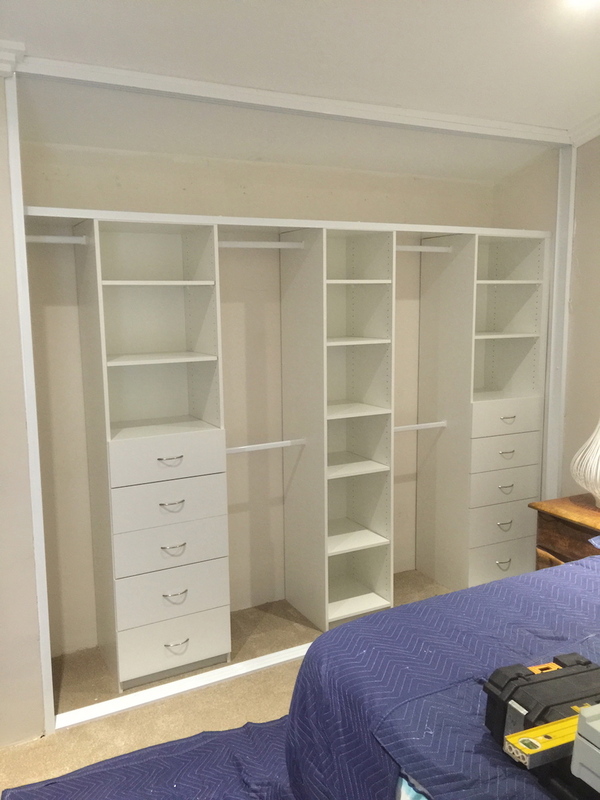 Whether your built-in robe is in a Master bedroom or a child’s room or your guest room we can customise a storage solution to fit in just about any space. 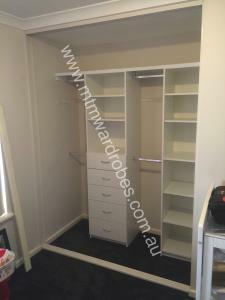 We can adapt any of our storage units to give you the wardrobe you deserve. 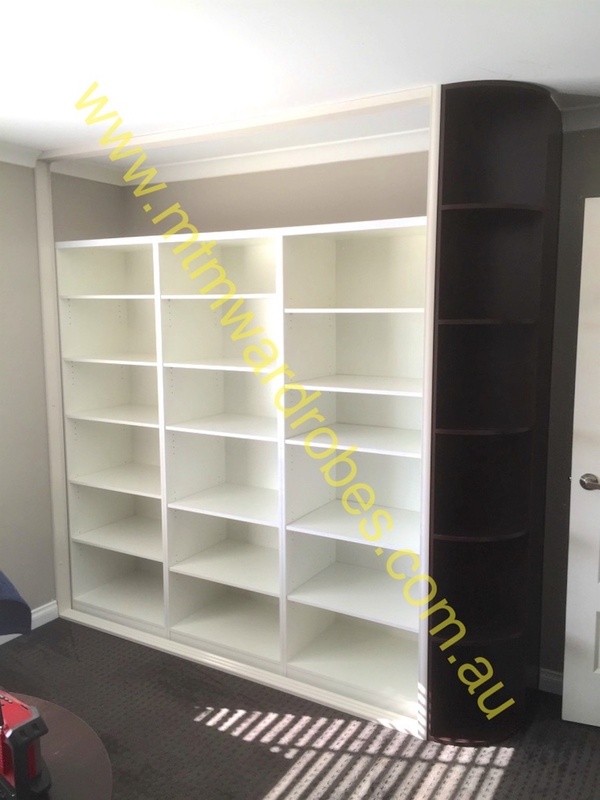 An additional top shelf to maximise storage in rooms with high ceilings. Whichever style suits you whether it be drawers, fixed or adjustable shelving, full length or double hanging. 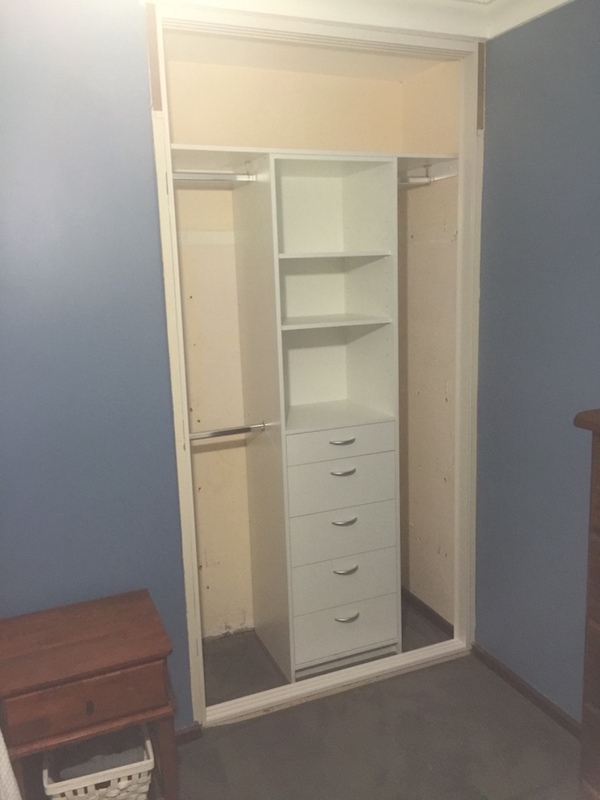 We can provide it all in any combination. 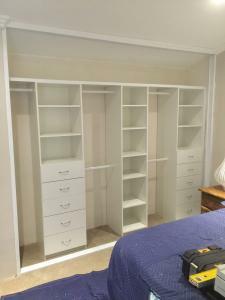 Our fit outs offer you the flexibility to match your every need. 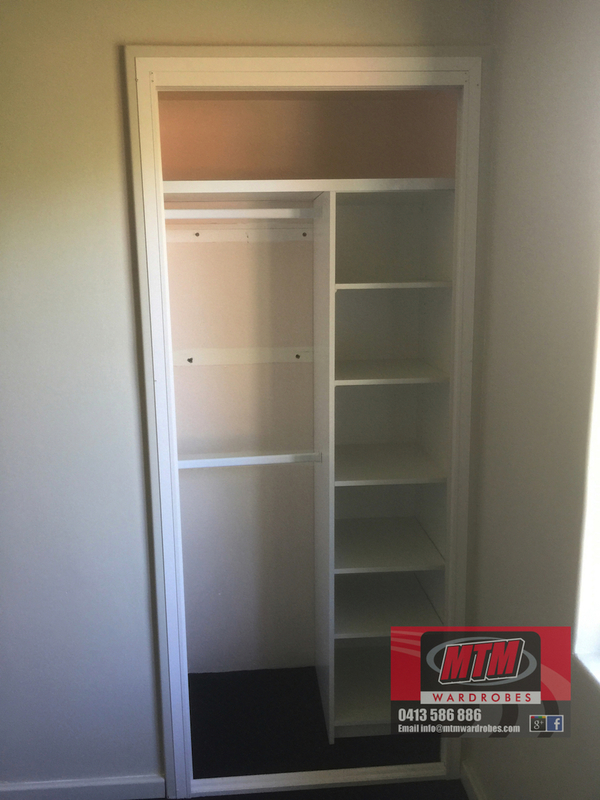 We have some standard sizes that we use all the time but we can build a unit to suit your space, draws from 300mm Wide to 900mm wide. 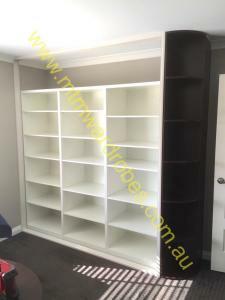 Adjustable shelves from 400mm wide to 1200mm wide with variable depths.